The Bhopal Branch of The Institute of Chartered Accountants of India hosted a Two Days National Conference on Bank Audit, Companies Act and GST” at Samanvaya Bhawan, New Market, Bhopal. The event commenced on Saturday. The National Conference was inaugurated by a ceremonial lighting of the lamp by the chief guest of the programme, Rajesh Kumar, Chief General Manager, State Bank of India. He explained how blockchain technology is going to change the future of banking in India .CA Mayank Agarwal, Chairman of the Bhopal Branch, gave the inaugural speech on the occasion. He briefed the audience about the growing importance of the role of chartered accountants in the present regulatory scenario of Bank Audits and Companies Act. CA Nayan Kothari, from Vadodara, Gujarat, was the first speaker for the 1st Technical Session. He deliberated upon the key issues related to Bank Audit. He laid stress on the requirement of Audit Planning by CA’s with respect to Statutory Bank Audits. In order to acquaint the members with the pressing issues faced while conducting Bank Audit, he gave suitable case studies to classify Advances as NPA. He also emphasized on the importance of stock statements while calculating DP in case CClimits of businessman. CA Abhay Chhajed, from Bhopal, was the second speaker for the 1st Technical Session. He informed the gathering of members about the growing importance of audit documentation in compliance with the Standards on Auditing (SA) issued by ICAI. He reiterated that as the expectation of Government and Stakeholders from the Chartered Accountants are growing with respect to the increasing menace of NPA across the banking sector, so is the importance of proper documentation increasing. CA Ajay Jain, from Delhi, was the speaker for the 2nd Technical Session. He discussed certain key issues pertaining to Long Form Audit Report (LFAR), and Ghosh & Jilani Committee Reports. As the Micro, Small and Medium Enterprises constitute a major chunk of the advances of bank’s balance sheet, they are also more vulnerable to slip into the NPA category, if not monitored timely. He also deliberated upon the fine points related to restructuring of MSME Advances. Also, as a large number of agricultural loans have been waived off in the recent times, the role of the chartered accountant becomes more important, when it comes analyzing the norms of farm loan waiver and its rightful implementation. 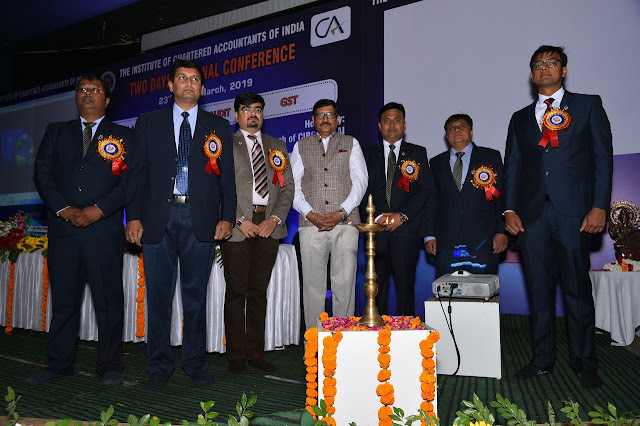 The programme was attended by more than 500 Chartered Accountants from across the length and breadth of India.